ahh, BMW new offering! And it has the same awesome motor in a smaller lighter car. Can you say 0-60 in 5 seconds. PS Molly Wood, Audi is not the new BMW. It is however, a supped up Volkswagon. Everyone is still chasing the Ultimate Driving Machine. Motorcycles have been a part of my life, since, well, before I can remember. As I kid I helped my Dad rebuild what seemed like a bunch of Honda CBs and Suzuki GSes. 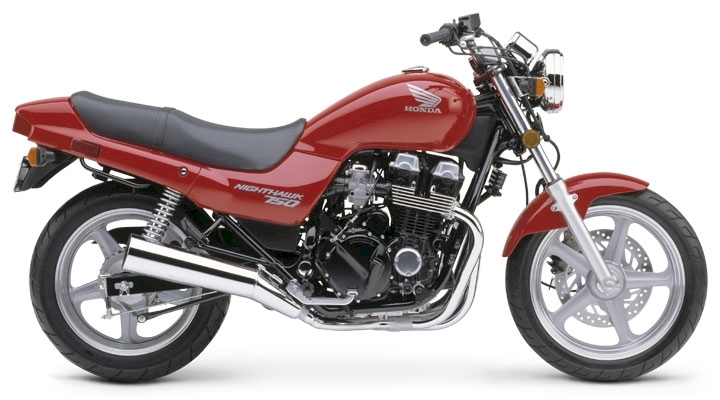 In the 80s I fell in love with the Honda Nighthawk. As an adult, one afternoon when my golf game fell apart for the last time my friend Chris and I both went out and bought red Hondas. Of course, I got a Nighthawk and it has been the love of my life. It truly is a rock solid machine that is a great beginner bike that you dont have to grow out of. But as in all things, eyes tend to wander and you wonder if there is something better out there. So a friend and I spend a Sunday trying on different bikes. I was really interested in the Honda ST1100. After all I started on a Honda SL100. Much to my dismay, at 35 inches of inseam, I was eating the fairing. Along came Yamaha. Yeah those guys who were the dirt bike arch nemesis to Suzuki with their YZs. But what a great product they build in the FJR 1300 that is not only gorgeous and a tourer, but in a class of its own. So now for atleast the third round, every 18 months I start looking to buy one. Will I, probably not. But this time not only do I know one for sale and locally, but it is blue. I am not sure I can leave my old steady behind. Did he just say the LT1 Camaro with special Corvette engine and 350hp could ‘match move for move’ with the Bavarian hot rod of 240hp? I should hope sooo. But it doesnt really look like he is keeping up and…. .the Camaro spins out. A fun movie if you like feel good movies like Rudy. I never understood NASCAR. Round and round they go. Even if you havent tracked your car, it will get your heart going. If you have, you will be amazed at this skill level!